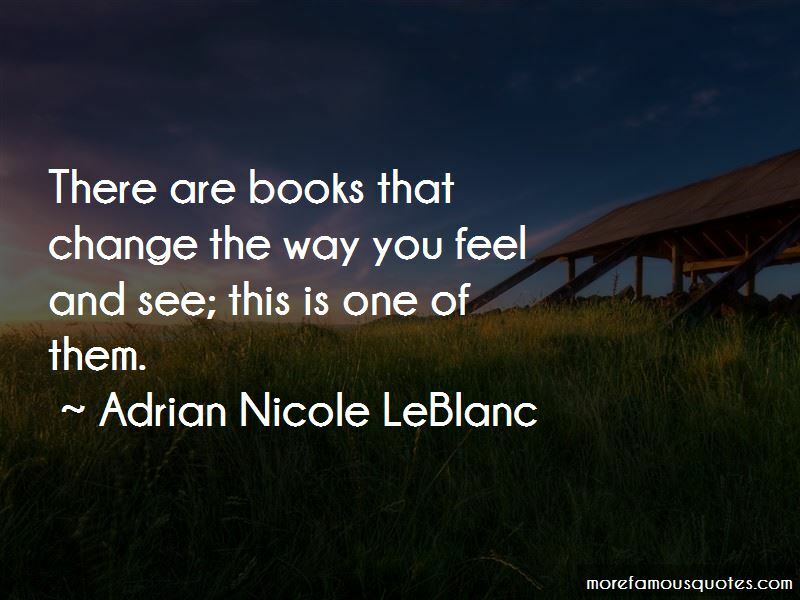 Enjoy the top 2 famous quotes, sayings and quotations by Adrian Nicole LeBlanc. There are books that change the way you feel and see; this is one of them. Want to see more pictures of Adrian Nicole LeBlanc quotes? 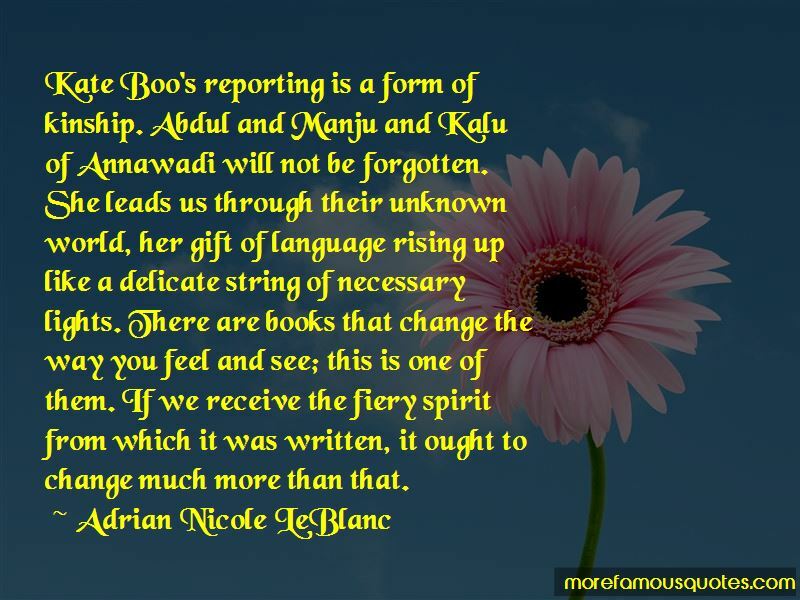 Click on image of Adrian Nicole LeBlanc quotes to view full size.